Developer of the famous and successful iPhone apps Flick Football and Golf Putt Pro- Neon Play Ltd today is offering their new addition to Apple consumers. 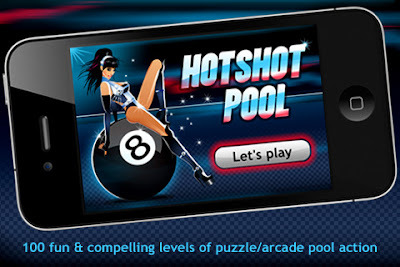 It is a billiard arcade game called Hotshot Pool 1.0 providing the users with several challenging and fun features, making them addicted to their devices. These features include arcade action with girls on a pool table. Five girls - Cindy, Angel, Tiffany, Brandy and Mercedes can be unlocked with each stage. One stage contains 20 levels, totally there are 100 levels. The gameplay gets harder and harder with each level, while it starts simply and is compatible with iPhone and iPod touch. During the play you have to work out which is the best way to pocket each ball. Users need to control the pool stick/cue with their finger to control and the angle and the power of the ball. Players need to work out the best way to pocket each ball. It becomes a real challenge to work out which is the best and sometimes only path or angle to pocket the ball. Players need to control with their finger the pool stick, the angle and the power of the ball. The easy-to-understand achievement system has over 35 tasks for the players to unlock, and on each level, you can earn up to three golden stars by completing the level in the least amount of shots. 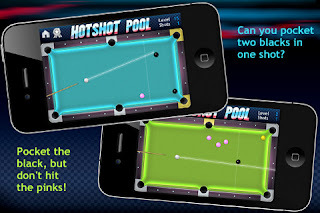 Besides, informing that Neon Play has also developed Hotshot Pool Cheats app, waiting for Apple to approve. For this reason it is not yet available on the App Store. This new version offers an image of the level with the correct angle to hit the white ball, in case you are stuck on some level. It also gives you a description how to complete the level. These app will be available for download soon at the price of $0.99/£0.59. Neon Play is also developing an HD version of the game for iPad and this will also include an extra 20 levels. 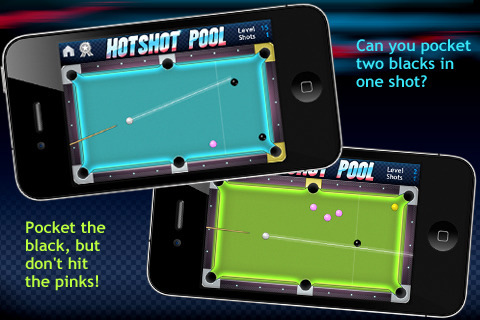 Hotshot Pool 1.0 is only $0.99 USD and available worldwide exclusively through the App Store in the Games category.